The Nurse & Midwife Training program is the next furthest progressed, under the leadership of Australian RN, Lauren Crase. 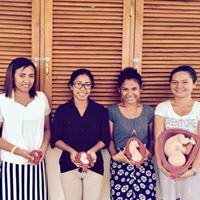 This program has been taking shape in recent weeks, in close partnership with St John of God Health, laying the groundwork for the training of government staff in the smaller clinics and hospitals (Community Health Centres, or CHCs) of Dili. They’ve been warmly invited in by the Ministry of Health (MoH) and National Institute for Health training (INS), who recognise the unmet need for skills and competency training of nurses and midwives. Raising the clinical standards of these staff is a crucial step not only in ensuring better care for patients, but also in winning the trust of the community. Too often patients avoid clinics and hospitals, preferring to seek faith healers or herbal remedies, sometimes with tragic results. Part of our vision at Maluk Timor is to help our counterparts in the government clinics build that confidence in the community, which leads to increased vaccination rates, safer births, and better health generally. 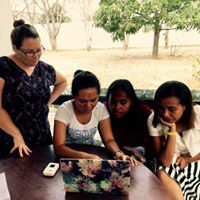 Lauren has been training our lead staff, midwife Windy Anggreany and nurse Karolina Embun, as trainers themselves, and they have absolutely risen to the challenge. Blitzing their clinical training modules and giving dynamic teaching presentations, these leaders in clinical care will direct a larger team (we’re hiring this week) into the CHCs in the early part of 2018, with an initial focus on Basic Life Support and Infection Control (Hand Hygiene). It’s just the beginning.